These manzanita earrings are very light, and unique. 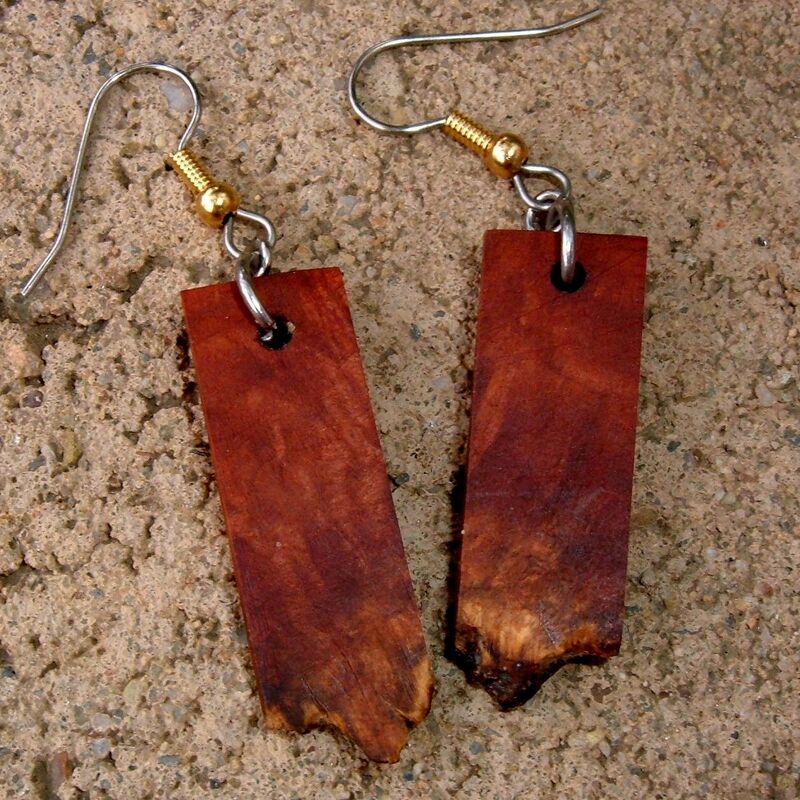 I made them from a piece of manzanita burl. I left the edge natural (woodworkers say live edge) because that accentuates the unique character of the wood. The wood is approximatels 3 1/3" x 7/16", overall they are 2 1/4" long. They are finished with oil and beeswax, I hand rubbed them to a soft sheen. The findings are stainless steel with gold plated accents.